Choose island property for sale from Eden Island and enjoy the financial benefits of a home in this lucrative residential development located in Seychelles. 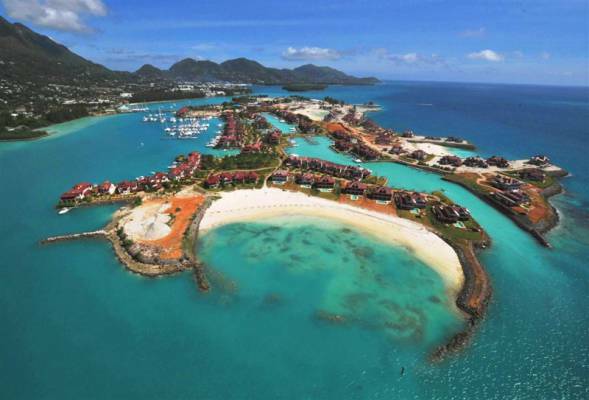 Find out more about the three types of island property for sale on Eden Island. Buy island property for sale that can be used as a luxury holiday home and still offer good resale value. Or find a house that offers returns through short-term or long-term rentals. Either way, Eden Island real estate provides overseas property for international buyers who are looking for a lucrative investment. Reap returns with investment property in Seychelles. This enchanting archipelago boasts more than crystal-clear waters and an island-inspired lifestyle. Here one will find a real estate market that offers worthwhile property investments. Real estate prices on Eden Island range from US$375,000 to US$3,800,000 depending on the size and type of home. All property ownership is regulated by the Condominium Property Act of the Seychelles (1996) and the government is required to provide sanction for all foreign property purchases. However, the process has become far simpler over the past five years. This is one of the reasons for Seychelles real estate growing in popularity globally. Contact us today for more information on our island property for sale. US$350 a day (short-term lease) and US$2,000 a month (long-term lease) for one-bedroom apartments. US$600 a day (short-term lease) and US$3,000 a month (long-term lease) for three-bedroom apartments. US$650 a day (short-term lease) to US$3,500 a month (long-term lease) for three-bedroom maisons. US$750 a day (short-term lease) to US$4,000 a month (long-term lease) for four-bedroom maisons. Exclusive villas: Considered the most high-end of the real estate on Eden Island, villas are available in over 18 designs. Furthermore, these can also be personalised through the selection of finishes and fittings, furniture and décor packages. All villas are modeled on the traditional manor houses found on Seychellois plantations and feature high ceilings and expansive verandas. While these exclusive properties aren’t available to rent at the moment, each provides exceptional resale value in the long term due to consistent annual capital growth. Call us today for more information on our island property for sale. We’ll guide you through the available units and help you find real estate that suits your property investment portfolio.